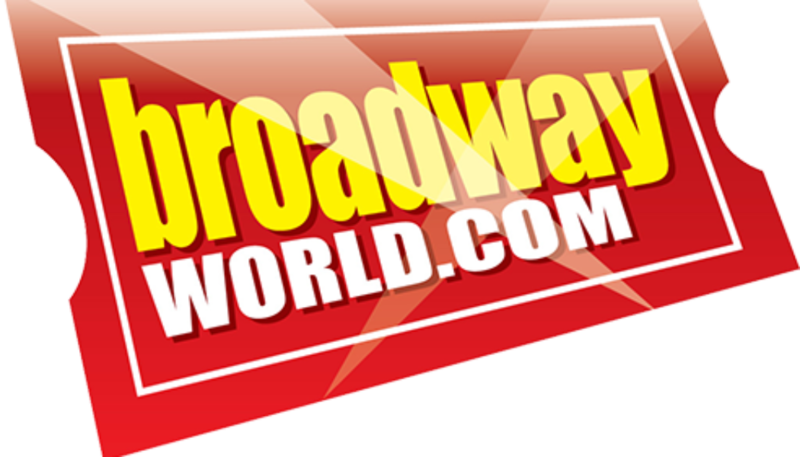 BWW catches up with Aaron Calvert to chat about taking Declassified to the 2018 Edinburgh Festival Fringe. Tell us a bit about Declassified. In Declassified I take the audience on a thrilling journey to showcase the capacities of the human mind by pushing the boundaries of what people are capable of with a combination of astounding mind reading and fascinating hypnotic feats. Without giving too much away, you will witness members of the audience perform the inexplicable in a series of superhuman feats. The inspiration for these feats has been taken from a mix of true stories and urban legends, the audience get to see these feats unfold in front of their very own eyes. I want audiences to leave with their own legend to tell. 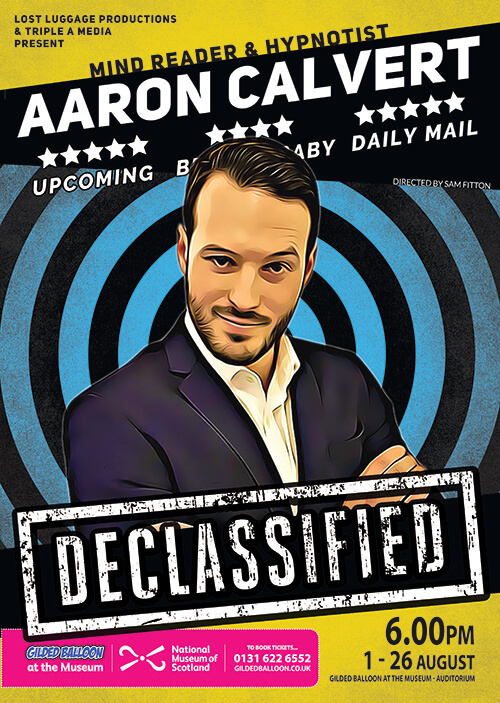 Written with and directed by national award winning magician Sam Fitton, Declassified is a fascinating journey that dares you to believe. Witty remarks, good humour and gasp worthy moments will make Declassified the show audiences can’t stop talking about this Fringe. You have had quite the unusual career path haven’t you? You could say that, I’m actually a qualified doctor. I spent half a decade training at the University of Nottingham’s medical school and after qualifying I had a huge decision to make; become a doctor with job security and the respect of my parents, or become a mind reader and hypnotist. I think my parents are still baffled by my decision. It was a nerve-racking decision to make, although I had performed two sell-out runs of two theatre shows whilst at University, I had no idea what it would be like performing full time. But one thing I knew for certain was that I couldn’t do both. Luckily the last three years have been a huge success for me with a Channel 4 TV show that aired earlier in the year, two sell-out Fringe runs and an exciting year ahead of live shows, I have no regrets. How involved do the audience get? The audience are the show. From the moment I step on stage the audience are involved. Genuinely, without an audience there would be no show. I know that sounds obvious but if you were performing a play you could stand on a stage and deliver it to an empty theatre. For me 30 seconds in when I call for a volunteer I wouldn’t be able to go any further. Because the show involves so much audience involvement, every show is different, it changes depending on who comes up. It keeps it fresh and keeps me on my toes. Of course if you don’t want to get involved you don’t have to but I encourage everyone to get as involved as possible. What sets Declassified apart from other hypnosis shows? You will see inexplicable hypnotic feats rather than a comedy sketch or people clucking like chickens… At the top of the show I promise never to embarrass anyone, instead I show people the incredible things possible through hypnosis. We’ve been working for the last six years to bring hypnosis into the 21st century, to hopefully leave them with moments they simply cannot explain – I want audiences to leave with their own legends to tell. My shows have become most well known for the unbelievable hypnotic feats. I take the impossible and make it possible. Most recently I presented a Channel 4 show, Hello Stranger, where I erased 4 years of a couple’s life together before sending them on a first date all over again. And it’s a new venue for you this year? Yes it is indeed, I’m making a big leap from the PBH Free Fringe’s largest venue, La Belle Angele, up to the rather lovely Gilded Balloon at the Museum. I’ve performed at the Edinburgh Fringe Festival for the last two years and I’ve been overwhelmed by the response to my shows, both by audiences and reviewers alike. With both ‘Mind Games’ and ‘Awaken’ I’m proud to say I sold-out the largest Free Fringe venue every day for 22 days straight in 2016 & 17, filling over 200 seats a day. This year we decided to move to a bigger venue that suits the show, with a big stage over at the Gilded Balloon at the Museum. I really can’t wait to see what this year has in store.